Thank you for selecting us for your root canal therapy. Please follow the guidelines below and contact us with any questions. 1. For the next 30 minutes, do not eat or drink anything. You have a temporary filling that takes about 1/2 hour to harden. Please do not feel around your tooth with your tongue. 2. If any prescriptions were given, please have them filled promptly. If no prescriptions were given and you are not allergic, you may use any ibuprofen type of medication such as Motrin or Advil, 3 tablets (600mg) every 6-8 hours as needed for discomfort and alleviation of swelling. Alternatively, you may use Tylenol, 1000mg every 6-8 hours as needed. Do not exceed the guidelines printed on the label for any medication. If you are unable to achieve adequate pain control, please call our office. 3. You may find using an ice pack to the affected area helpful. Please do not apply ice directly to the skin, have a cloth between the ice and skin at all times. You may apply the ice for up to 20 minutes on and 20 minutes off for the next 6-8 hours as needed. 4. Once you begin to eat and drink, avoid chewing or biting on the area worked on until your permanent restoration is in place. The area may be more sensitive due to swelling. The temporary in place is a soft composite that is vulnerable to fracturing (cracking) with hard substances such as peanuts, pretzels, hard candy, ice cubes, etc. You will need to see a restorative dentist within a month to have a permanent crown placed. 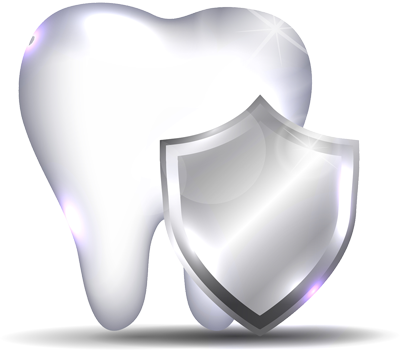 Please contact your restorative dentist to make an appointment at your earliest convenience. Waiting longer than a month increases the chances that the temporary will fracture and/or decay will develop, in which case, you are at fault and will be responsible for all costs to have it redone. 5. Please keep the area worked on clean by gently brushing the area and flossing regularly. 6. It is rare for a temporary filling to fall out although it may divot while in use. If the temporary falls out please contact your general dentist as soon as possible. If your temporary falls out after office hours you may purchase some temporary filling material from most pharmacy’s and follow the included instructions. 7. Some discomfort following the root canal is normal for 2 to 4 days after the treatment. In some cases the tooth and surrounding tissue may be sore for a few weeks following the treatment. 8. Normal brushing and flossing are okay, unless otherwise specified by your doctor. Follow any other instructions provided by the office on your visit. Please take all medications as prescribed. While flare-ups are rare, they occur in about 5% of the cases and cause significant pain. They occur with teeth that are extremely irritated and/or infected or with teeth that have a history of prior treatment. These sometimes occur randomly, even on patients that have had root canals done in the past without problems. If you have a flare-up you may experience moderate to severe pain, swelling, throbbing or general discomfort; please contact our office. You may be prescribed additional medication such as antibiotics and/or you may be asked to come to the office for further treatment. Should you experience any of these symptoms, please contact the office, even after hours.